Charles Augustus "Kid" Nichols (September 14, 1869 – April 11, 1953) was a Major League Baseball (MLB) pitcher who played for the Boston Beaneaters, St. Louis Cardinals and Philadelphia Phillies from 1890 to 1906. A switch hitter who threw right-handed, he was listed at 5 feet 10 inches (1.78 m) and 175 pounds (79 kg). He is a member of the Baseball Hall of Fame. Nichols played minor league baseball for three teams until September 1889, when he signed for the Boston Beaneaters. After making his debut the following season and spending twelve seasons with the Beaneaters, Nichols spent a two-year sojourn in the minor leagues. He was dealt to the St. Louis Cardinals in 1904 and subsequently played for the Philadelphia Phillies, with whom he played his final game on May 18, 1906. He is most famous for being the youngest pitcher to join the 300 win club. Nichols was born on September 14, 1869 in Madison, Wisconsin. His parents were Robert and Christina Nichols. His father had worked as a butcher and owned a grocery store with several locations in Madison. Robert had at least four children from a prior marriage to a woman named Sarah, who died of tuberculosis in 1859. Robert and Christina had several children together. Nichols's four-year-old sister Fannie died several years before Nichols was born; she accidentally set herself on fire while playing with matches. The family moved from Madison to Kansas City, Missouri when Nichols was a child. While his siblings worked in the family butcher shop, Nichols pursued baseball. Before he turned 18 years old, Nichols had debuted in the minor leagues with the 1887 Kansas City team in the Western League, earning an 18-12 win-loss record that season. He spent 1888 between Kansas City of the Western Association and Memphis of the Southern League, finishing the year with a combined 27-10 record. In 1889, he registered a 39-8 record for the Omaha Omahogs of the Western Association. Nichols entered the major leagues in 1890 with the Boston Beaneaters. Nichols recorded a 27–19 win-loss record, a 2.23 ERA and 222 strikeouts, beginning a string of ten consecutive seasons with 20 wins or more. Nichols also had a major league record seven 30-win seasons in this time (1891–1894, 1896–1898) with a career high of 35 in 1892. The Beaneaters won several pennant races during Nichols' tenure, finishing in first place five times between 1891 and 1898. The team had 102 wins per season in 1892 and 1898, which stood as franchise highs until 1998. Baseball-Reference.com calculates that Nichols led the team in wins above replacement in 1890 and 1892 through 1898. Nichols had his first losing season in 1900, when he went 13–16. He improved to 19–16 the following year. After the 1901 season, Nichols purchased an interest in a minor league franchise in Kansas City. He left the Beaneaters to manage and pitch for the Kansas City club, where he won a total of 48 games in 1902 and 1903. After a two-year hiatus from the major leagues, Nichols returned to the 20-win plateau for the eleventh and final time in his career in 1904 for a new team, the St. Louis Cardinals. 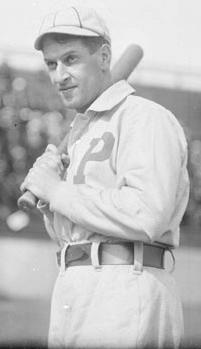 He finished his career in 1906 with the Philadelphia Phillies, who picked him up off waivers in 1905. Nichols retired with 361 wins, 208 losses, 1,868 strikeouts and a 2.95 ERA. Nichols's win total was exceeded at the time only by Cy Young. His win total is the seventh highest total in major league history. His 50561⁄3 innings pitched ranks 11th all-time. He was the youngest pitcher to win 300 games, reaching that milestone at the age of 30. After baseball, Nichols dabbled in the motion picture industry, partnering with Joe Tinker in a business that distributed movies to theatres in the midwest. An accomplished bowler, Nichols also opened bowling alleys in the Kansas City area. He won Kansas City's Class A bowling championship at age 64. Nichols was inducted into the Baseball Hall of Fame in 1949. He was said to have been proud of two things: his Hall of Fame selection and the fact that he had never been replaced in a game by a relief pitcher. In October 1952, the 83-year-old Nichols was admitted to Menorah Hospital in Kansas City to investigate a complaint with his neck. Doctors ordered tests, but Nichols would not submit to them until after the seventh game of the World Series ended. He was later diagnosed with carcinomatosis, cancer that had spread throughout his body. He died on April 11, 1953. ^ a b O'Malley, John J. "Nichols Youngest to Win 300". The Baseball Biography Project. Society for American Baseball Research. Retrieved January 30, 2013. ^ Fleitz, David (2004). Ghosts in the Gallery at Cooperstown. McFarland. p. 1887. ^ "Kid Nichols Minor League Statistics and History". ^ "Atlanta Braves Team History and Encyclopedia". ^ "Kid Nichols Statistics and History". Baseball-Reference.com. Sports Reference LLC. Retrieved January 30, 2013. ^ "Kid Nichols, Hall of Fame hurler, dies". Bogovich, Richard (2012). Kid Nichols: A Biography of the Hall of Fame Pitcher. McFarland.